I really get mad when I notice a price drop just after I ordered something online. It feels so frustrating, I want to scream “It’s NOT FAIR! !” If I knew several years ago what Paribus app is, I could save myself a lot of disappointments and money. In some cases I know it’s going to happen, like before holiday sales, but I need the item now. I can’t postpone the purchase of that Bear costume for my son till November, you know. There won’t be another Halloween any time soon for my little bear to scare our neighbors and get a six-month chocolate supply in reward. And it still hurts to see the 50% discount on the same bear costume, so I have to eat some of those candies right away to make myself feel better. Do I always check the prices after the purchase is made? No, I don’t. My life is so busy, I don’t have time for price monitoring and negotiating with this customer support or another. I wish I could clone myself to get everything done in the best way. While cloning is not an option, what can I do to get the price difference back without too much hassle? There is a super easy way to delegate the price monitoring and getting the refund to a digital personal price adjustment agent, that doesn’t require any time or effort from my side. It’s almost as good as a little clone of yourself. It’s called Paribus (owned by Capital One) and it’s completely FREE. In this review, I’ll explain in details how does Paribus work and what it can do for you. It’s amazing to see how new technology like this can impact the financial services industry and big retailers’ policies. How To Sign Up For Paribus? Which Stores Are Covered By Paribus? Is There Any Other Way to Get a Refund For A Price Drop? How Much Can You Save With Paribus? Is Paribus Worth It? Is Paribus A Scam Or Legit? What Are The Pros Of Using Paribus? What Are The Cons Of Paribus? Is It Safe To Use? Do you know that many retailers offer compensation if the price of the product drops within a specified period after the purchase? Here are some samples of retailers’ price match policies from Macy’s, Best Buy and Gap. Macy’s Price Adjustment policy – 10 days. Best Buy Price Match Policy works as long as the return period for the item lasts. 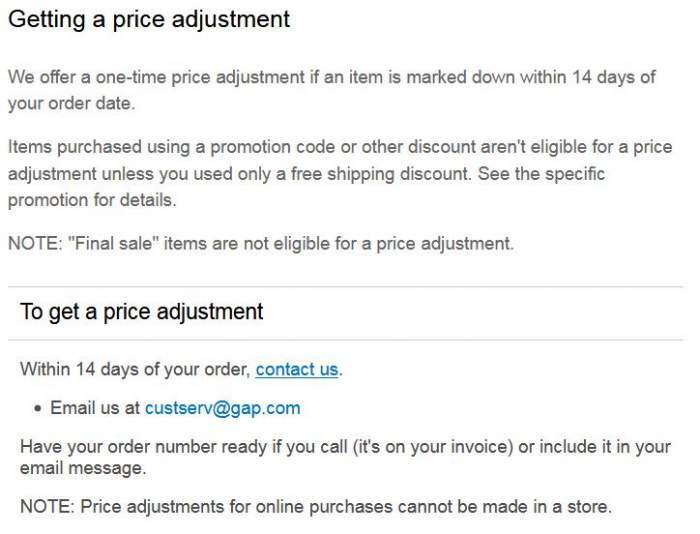 GAP Price Match works for 14 days. The protection period usually varies from 7 to 30 days. Think about all the purchases you made several days before a regular sales events such as Black Friday, Labor Day, Memorial Day sale etc. Did you get any price adjustment during the sales period? You can say that the difference is not material to justify the effort of writing or calling the customer service. Well, it depends. The more expensive the product the bigger can be the price drop in dollars. But who has the time to track every purchase for a price drop? It’s too tedious task for any human. This is where Paribus comes in. The company was founded in 2014 by Eric Glyman and Karim Atiyeh. It raised about $2.2M in two funding rounds from 10 investors. In October 2016 Paribus was acquired by Capital One for an undisclosed amount. Paribus has filed more than $29 million in claims. The service is offered absolutely free and available for US residents and purchases made in the US only. Paribus monitors the email box that you use for online purchases and locates the orders and shipping confirmations to identify the items. Then it monitors the price of these items on the merchant’s website during the price drop protection period. 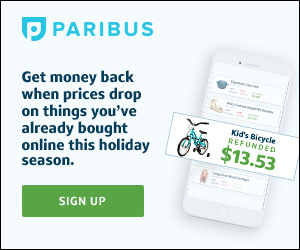 In case of a price drop detection, Paribus sends an email to the retailer on your behalf, requesting a refund. 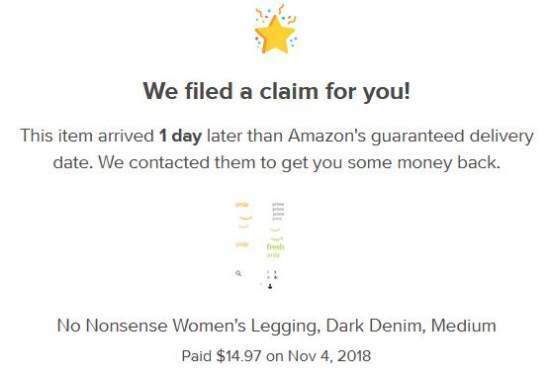 Once the claim is approved, you’ll receive the refund directly from the merchant, probably by the same payment method you have used for the purchase. In some cases, Paribus will notify you of the price drop and provide simple instructions on how to contact the retailer and request the adjustment by yourself. You must use Gmail, Yahoo or Outlook email account. Paribus doesn’t work with other providers. The idea is to sign up with the same email account you normally use for online shopping. If you use a non-supported provider, you can set up a new account with Gmail and configure it to fetch the emails from your existing address. 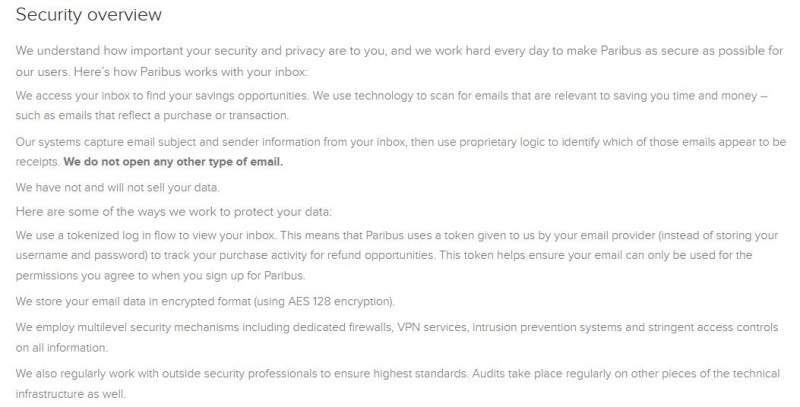 Paribus will ask you for a permission to access your email box, including reading, writing, and deletion. It will then scan the inbox for recent online purchases that are still within the retailer’s price protection period. If you are interested in monitoring late deliveries from Amazon, you can also provide your Amazon credentials. I know it sounds intimidating to give full access, as your email box might contain personal correspondence you don’t want to expose. When I was signing up and saw this requirement, I stopped and went to do some research before completing the process. I wanted to check if I can trust Paribus and what exactly can happen if I give it the access to my Gmail box. What I found is that Paribus uses an automated system (in other words – a bot), based on Artificial Intelligence. It means that the bot scans the inbox, looking for emails from the retailers covered by Paribus or UPS, based on the list of relevant keywords in the title. All other emails will be ignored. The bot is not interested in any emails from your inbox besides the order and shipping confirmations from the relevant retailers. Another fact that makes me feel safe is that Paribus is a part of Capital One group, a financial firm that follows numerous regulations, including privacy protection and data encryption. 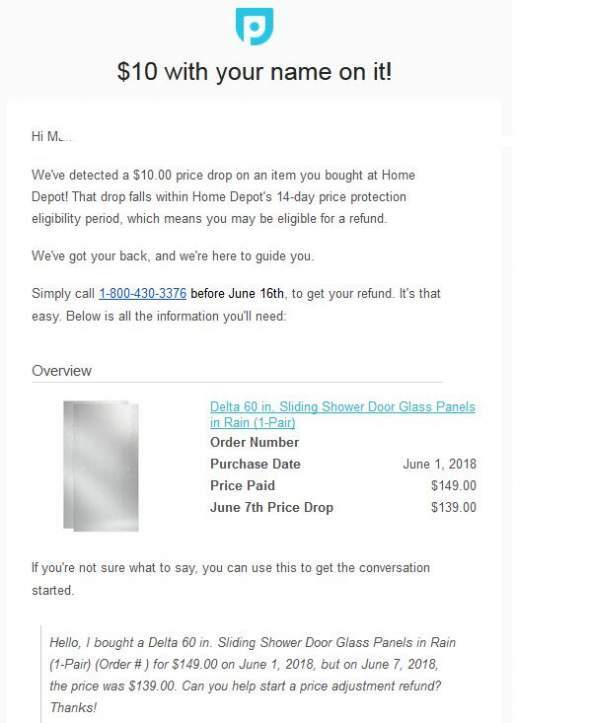 If you don’t believe it’s safe to provide Paribus with full access to your email, my advice is to open a separate account for online shopping, where no personal information is disclosed. I gave Paribus access to my Amazon account as well and haven’t experienced any issues, but this is, of course, up to you. In addition, Paribus monitors hotel bookings (see a separate section about it below). In addition to the retailers, Paribus has partnered with several online hotel booking websites and monitors the hotel room prices after you book a room. Hotel rooms’ prices often fluctuate, and it isn’t rare to see a $50-$80 per night price drop. If Paribus finds that the same room can be booked for less within the original cancellation period, it will send you a notification and ask whether you’d like to rebook. Upon your confirmation, Paribus will book the room with Priceline and cancel your original reservation. For more detailed information about hotel rebooking, please check this Paribus support page. First, a bit of history here. Several years ago, Amazon had a very generous price drop policy, where they promised price protection for 30 days. Me: I bought this raincoat for $43 three days ago and now I see the price dropped to $37. Amazon Rep: I apologize, I will issue the refund of $6 immediately. Can I help you with anything else? At that time, Paribus was doing the same job of requesting the refunds and saving the money, as I did myself via the chat. Me: I bought these shoes for $60 three days ago and now I see the price dropped to $55. Amazon Rep: Do you want me to send you the return label? Me: No, I like the shoes, but the price dropped. Can you adjust it? Amazon Rep: I’m sorry, our policy is changed. You can return the shoes and buy them again. Me: But the shipping is free – why do you want to ship the first pair back and send me a new pair? Won’t it cost you more than just giving me a refund of $5? Amazon Rep: I’m sorry, this is the policy. Is there anything else I can assist you with? Me: Damn, I don’t want to print the label, pack the shoes, go to USPS and wait again for the second shipping. But I’m not going to let them get away with it! Ok, send me the label. After the policy change, Paribus can’t get the refund for the price drop from Amazon. But it offers delivery monitoring. In addition to the price drop, another frustrating scenario might be a late delivery. You order something in the last minute for an upcoming event and… nothing comes and the occasion is ruined. Happened to me with a present I’ve ordered for my daughter’s birthday a week in advance to receive it about 10 days later… Oh, shame on me. I had to spend a long time on chat to receive any sympathy from the customer service representative. With Paribus it’s different. While it can’t get the goods to your door in time, it can file a claim in your name for Amazon Prime and Walmart.com orders that missed the promised delivery date. Here is a real example. I ordered a pair of leggings and Amazon Prime service was supposed to deliver them in 2 days. It didn’t happen. Paribus monitored the purchase in my email box and noticed the delay. It sent the following email from my Gmail box (yes, it looks like I did it myself, but I wasn’t even aware it happened until I received the notification from Paribus. Woo-hoo! I just got $5 effortlessly, as I wasn’t even aware this communication happened. It’s like finding money on the floor, isn’t it? For many years most of credit card companies offered price protection in their policies. Chase and Citi were the leaders in this area, providing the best benefits. In order to receive the price difference, the customer had to submit the supporting evidence within the period of up to 120 days (the period varied between different card companies). Have you ever used this benefit? Probably not. About 97% of cardholders were not aware of the price protection benefit and an estimated amount of $50 billion possible refunds were unclaimed. However, the arrival of automated refund seekers, like Paribus and Earny in 2016 changed the picture. Earny works with about 85% of all credit cards that offer price drop protection. Paribus used to offer this service in the past, but it was discontinued in June 2017. The banks started to face exponentially growing amount of claims, sometimes for tiny amounts of 30-40 cents. The processing of these claims became a serious burden. In 2018 some of the banks started to change their policies. City reduced the maximum benefits per claim. 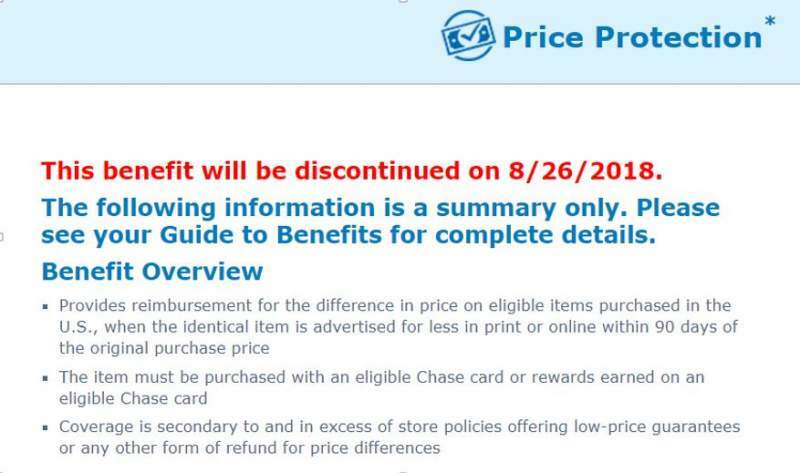 Chase decided to cancel the price protection for good in August 2018 for most of its branded cards. Discover kept price protection in place, probably because Earny doesn’t work for Discover cards. As of now, you need to check the current policy with each of your credit card providers, if you are interested in filing a claim. The savings are unlimited and mostly depend on your shopping habits. 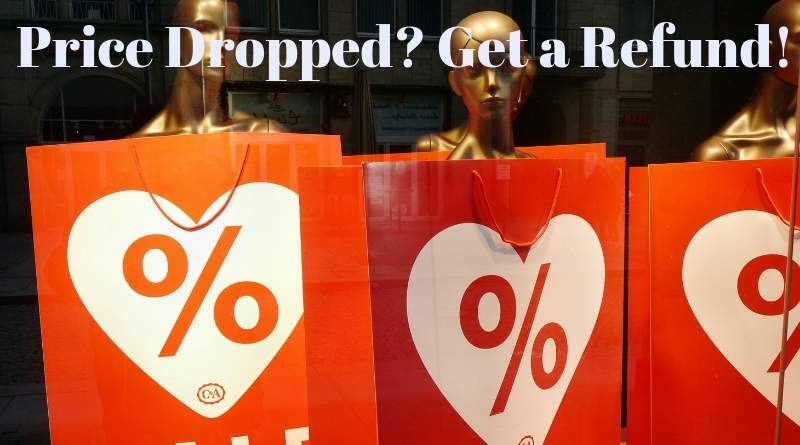 The more you shop, the higher are the chances Paribus will find an eligible price drop for you. I don’t shop online too much and mostly use Amazon that no longer offers any price protection. My other favorite stores are Macy’s and Home Depot where the prices frequently change. So, the right answer is that everyone’s mileage may vary, as they are used to say in the couponing community jargon. Meaning that everyone’s benefit will be different depending on the individual parameters. In the past, Paribus used to charge 25% of the successful claim refund. However, after the acquisition by Capital One, this fee was canceled and Paribus became a part of the benefits offered to the public by its parent company. Paribus is currently a free service. Well, after reading this review, you probably can see that Paribus is absolutely legitimate. You don’t need to provide a credit card during the registration. Being a part of such a highly regulated financial company like Capital One, Paribus is also subject to inspection and have to adhere to the modern cybersecurity standards. As Paribus offers its services for free, you might wonder how it makes the money. It’s a legit question. There is a “Deal” section on the website where you can see a selection of discounted items. Clicking on them leads to the retailer’s website. I assume that Paribus might earn some affiliate commission if you buy one of these items. Another source of income is the partnership with Priceline for hotel rooms rebooking. Paribus gets a small fee if you book the room through this service. It doesn’t impact the price for the customers. First of all – this is a FREE service. What I like the most, is the fact that the service doesn’t require attention from my side, most of the time. It’s kind of a “set it and forget it”. I had the Paribus service for months and didn’t notice anything till the notification of Amazon compensation for the late delivery. Paribus works invisibly in the background and doesn’t send you any annoying emails, except the refund opportunities. It catches the price drops that I wouldn’t notice myself. For me, it’s like finding money that I never knew existed. I love it! What Are The Cons Of Paribus? Is Paribus Safe To Use? The main concern raised by people who hear about Paribus for the first time is the requirement of access to the email account, including the writing and deletion permissions. Cybersecurity is super important these days, so I can understand you want to be cautious. Personally, I don’t feel uncomfortable giving this access, as I know that Paribus is configured to look only for shopping-related emails and doesn’t care (if the bots are capable of any caring at all) about anything else. As I already mentioned, there is an easy solution for this concern. You can open a separate email account for all of your online purchases and maybe other activities without any sensitive personal information that needs protection. Let the bot monitor this account only. I like Paribus for doing all of the hard lifting of price monitoring and sending the claims on my behalf with no effort and for free. Why not take advantage of this automated smart helper to save you some money? One important tip: don’t do any online shopping without using a cash back site. Here is the review of my favorite site with the highest cashback rates. P.S. For easy savings on your online shopping, don’t forget to use TopCashback, that offers the best cash back rates (guaranteed). Read the full TopCashback review here, if you didn’t sign up yet. It’s my favorite way to save online. ← How To Get A Discount On Amazon Prime? Why Amazon Prime May Be Worth It? Hello and thank you for this informative article. I really appreciate your effort. You really got me interested in this application. Having to know when your favorite product is going on price drop is really great. It is really incredible how this concept was not invented before. It also covers really wide variety of shops. That is really good. I am guessing that even more stores are going to be covered by this app, after it starts getting more and more people using it. I am going to register right now. You are very welcome. I love helping people to save. Paribus exists for several years now and is gaining popularity. Do register – it’s free! This is absolutely a wonderful program, this Paribus! Wow, so whatever I bought, when that price goes down within 14 days, I can get a refund of the difference? That’s just money pouring into my pocket. Do you have any idea how many items I just purchased – how wonderful that I don’t have to keep track of all of this with this Paribus App. Thanks for bringing this wonderful app to my attention! Paribus works with about 30 big retailers, each of them has its own policy for price drop protection or matching. The good thing is you don’t need to search for these policies and monitor the prices. Paribus does it for you. I wish it will work with all the retailers. My main benefit so far was the $5 refund I’ve got several times for Amazon Prime late delivery. I like that the email is sent to Amazon Customer Support totally on auto pilot. I only grab the money. Wow! This is a very in depth review of the Paribus App. I must admit, this is all brand new to me – I have never heard of this opportunity before.One advantage I found right away is the fact that it’s free! I might take you up on your offer and open an account, but I am hesitant for one main reason – access to my email? Even though you have convinced that this is a legit thing, I really have a reservation about them snooping in my emails even if the bots are “configured to look only for shopping-related emails and doesn’t care (if the bots are capable of any caring at all) about anything else”. Did you have any bad experiences with them? I am really not sure about the email part! This is the most common and legitimate concern about Paribus security. My experience was all positive so far. I never heard about any privacy issues with Paribus bot. You can try to do your own research on this. Another easy solution, as I mentioned, is to use a separate email account for all the shopping and other activity that you don’t care to put in front the bot’s “eyes”. Hi Mary! Hey, this is so cool! Didn’t imagine I could find a service as this one that Paribus offers. And I was not aware that credit card holders had this right. As you have stated about “$50 billion possible refunds were unclaimed.” Thank you very much for this review! I feel fine about the bot searching my inbox, but just in case, I think I’ll start using a Gmail account only for purchases online. The rebooking and the late delivery options are also great! I’m so glad you liked it. I just got my 3rd compensation for late Amazon Prime delivery – just in 2 weeks. Without ever writing a word to their customer service. Go ahead, sign up. You won’t regret. Wow, I did not know this was a thing. The app or store policies. I’m glad that you point out they are owned by capital one. It’s a good point that they are a big company who follows privacy laws. That’s definitely a selling point. Adding how Paribus makes money is also a point. I was curious about that. It’s a great service, but they have to make money off of it somehow. Not knowing how they make money off of it can make a legitimate service seem sketchy. Thanks for including that! I try to provide all the information up front and guess what would you ask when reading it. I hope you’ll spread the word and save money for you and your family. Wow this is too sweet! No way… This is not true. That was my first thought. Second thought. Woww.. this is too sweet! I am going to give this a try. The big point for me is that Capital One owns Paribus. That gives the program super credibility and backing. 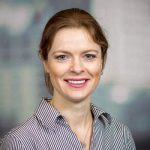 Do you think that this trend of Paribus being able to take advantage of these price drop protection clauses will continue? Or do you think that companies are going to close in on how they operate since they are being called on it? Yes, it’s sweet and true! A MUST to have before the holidays. We saw that banks are backing out of their price protection policies, maybe the retailers would rethink them as well. However, I think for them it will be not that easy. As with Amazon, you’ll be able to return the product (if it wasn’t used yet) and buy it again for a lower price. So for the retailer, it might still be easier to issue a small refund instead of processing the returned item that they might need to mark as refurbished. This is so cool. I remember the days when my in-laws would search through all the flyers they received in the mailbox in order to find all the sale items, before they went shopping for the week. Oh how things have evolved. 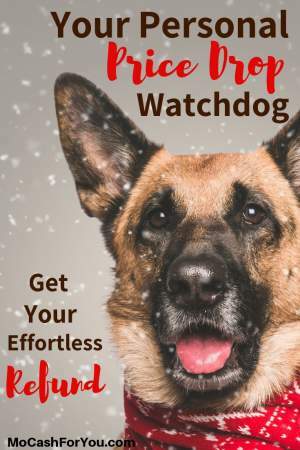 I can see this being a great app for saving time and money especially during the major holiday shopping periods throughout the year. Do you know if this app works in Canada or just in the US? Thank you for your question about the countries where Paribus works. Unfortunately, not great news for Canadians at this point. 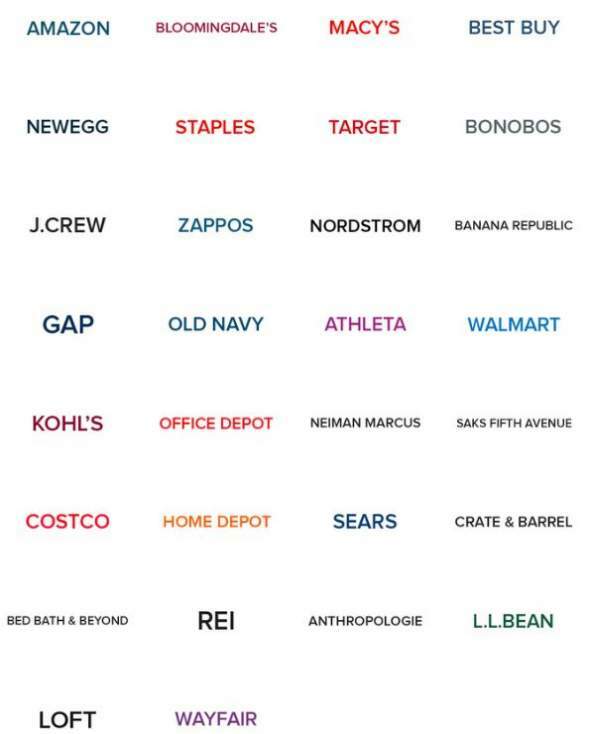 Currently, Paribus works only in the US, with 30 big retailers. Share this post with your American friends meanwhile. Thanks for the information regarding the Paribus App. I must say, this is all new information for me – I never heard of this amazing app. And to think it is free! I am definitely going to open an account and see how it works. While I do make purchases from Amazon, I also buy things from many other stores as well, and the ability to be sure there will be no price drop in the near future is priceless. I am particularly thinking about the time after Christmas when about everything is discounted. Making people aware of great free options to save money is my mission. I hate leaving any money on the table, especially when it’s so effortless as with Paribus. I like that you write with authority and compassion. This software sounds interesting. I’d like to try it out to save money on my holiday gifts shopping. It is good to learn about such application as Paribus, to increase your savings and use it for other purchases. To be honest this the first time that I have heard about it. It’s really cool. It is like having a robot or a business partner on your side, who takes good initiatives for you. I’m glad you learned about Paribus from my site. My pleasure is to help others to save money without wasting time or efforts. Paribus is exceptional because you really don’t need to do anything after signing up. It will send you surprising emails with refunds. Bots are the future, you can see them everywhere. Now, every chat with Amazon customer support starts with talking to a bot. This is an amazing application that could save you a ton of money without you having to do much accept set it up and it does the monitoring itself! The only question I have is, it seems it only works with US – American – stores, is this correct? Or is there a different application for each country worldwide. Wonderful find to help you check prices too. Thank you for the effort you went to, to put this together. Yes, it works only in the US and with 30 big retailers in the US. I enjoy helping others to save. Big firms know how to hunt for our hard-earned buck, it’s not a shame to make our best to get some money back. The big guys will stay profitable anyway. Thank you for sharing this review on Paribus App.I was scared when i saw that when you sign up you give the full control over your inbox emails but i was assured when you said they use robot so they are not interested in other emails which are not related to their app.It seems to be a great app and i think i will try it. Is it for beginners or experienced people in this business? Paribus is not for business, it’s for consumers, for everyone who ever shops online. You don’t need any experience, as you are not required to do anything. Just sign up and forget about it till you get some pleasant refund notification. Never heard of Paribus App before, but it sounds like something I could use for sure. My son has a habit of buying gadgets all year round. I know right now best buy is saying they will give the item at lower price if marked down on black Friday, but what about the rest of the year. Sometimes the return period gets missed in all the hustle and bustle of like and a person is up a stream without a paddle. I for one enjoy what you bring here all the time.I joined webtalk because of you and will now look this app up as well. Thanks for another great review. I don’t believe that anyone has enough time to monitor all the purchases. This can be easily delegated to the bot (automated system), like any other simple task. People should cherish their time an use it wisely. I’m really happy you like my posts, it means I’m doing something right in my efforts to help people to find useful free applications that help to save money. Did you read about TopCashback already? It’s the best site with highest (many times Double compared to Ebates) cashback rates. A must-have for holidays! 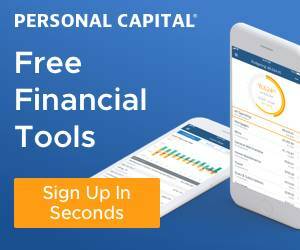 Another great free software is Personal Capital that allows you to track all your financial accounts in one place, monitor your net worth and retirement plans. Thank you for being my loyal reader. You can subscribe to the email list (see the opt-in in the sidebar on the right side), so you never miss a post. Paribus is awesome! I have an account and have gotten a few bucks back here and there, but I don’t shop online very often, and when I do some of my items weren’t eligible (not sure why). But it’s always fun to know you’re getting the very best deal possible. I wish there was an in-store version of this! I know many stores will let you price adjust with your receipt at customer service, but it’s an awful lot of effort to do that. I’m glad to hear you like Paribus. Filing price adjustment claims by yourself is no fun and sometimes doesn’t worth your time. Let the bot do it for you – this is an awesome idea behind Paribus.